Guillaume Poupard, head of France's national cybersecurity agency ANSSI, pictured in 2015, said France wants "to be sure we control the entire 5G network"
France will require telecommunications companies to allow more government oversight and control of the equipment required for next-generation 5G wireless networks due to security concerns, a government official said Tuesday. The move comes as several Western nations have barred China's Huawei from participating in contracts for 5G deployment, citing fears Beijing could gain access to sensitive communications and critical infrastructure. 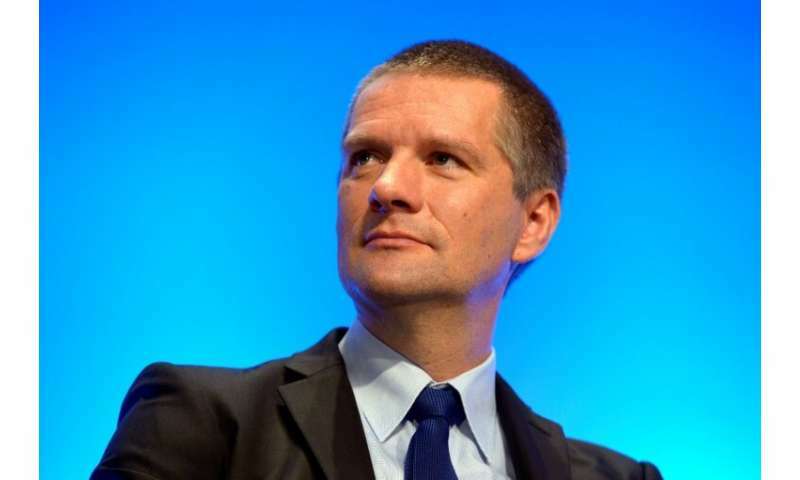 Guillaume Poupard, head of France's national cybersecurity agency ANSSI, said a new law could be enacted soon to "toughen and extend" authorisation requirements "to be sure we control the entire 5G network". But he said approvals would not be refused "because of a company's image, or its country of origin". "There aren't good equipment makers on the one hand and bad equipment makers on the other—unfortunately the situation is much more complex," Poupard told AFP on the sidelines of the International Cybersecurity Forum in Lille, northern France. The need for oversight is all the more critical since the base stations and other infrastructure for ultrafast 5G networks are much less centralised than current 4G systems, he said. The new network promises nearly instantaneous transfers of huge amounts of data, paving the way for self-driving cars or remotely accessed sensors in an array of consumer and health products. Huawei has invested billions of dollars in the technology, competing mainly against Sweden's Ericsson and Finland's Nokia. But the United States, Britain and other countries have said Huawei represents a security risk, not least since its founder Ren Zhengfei is a former People's Liberation Army engineer. BT, Britain's largest mobile provider, said in December it was removing Huawei equipment from its 4G cellular network. Tensions escalated in December after Canada arrested Huawei's chief financial officer—Ren's daughter—on a US arrest warrant over suspected Iran sanctions violations. The company's chairman Liang Hua said at the World Economic Forum in Davos, Switzerland, on Tuesday that it would pull out of partnerships in hostile countries. "We do not pose a threat to a future digital society," Liang told reporters, adding the United States had not put forward any evidence to justify its claim that Huawei equipment could serve as a Trojan horse for Beijing's security apparatus. But if Huawei gets barred from certain markets and customers start to shun it, "we will transfer technology partnerships to countries where we are welcome and where we can have a collaboration", he added.